Ezymats will finally have stock in Melbourne in Early February. We have a shipment of jigsaw mats coming in on the 3rd of February which will be available for pick up shortly thereafter. The stock will be 40mm EVA jigsaw mats. The colours available will be red / blue and black / grey. We will have shipments of 20mm and 30mm EVA jigsaw mats coming in early March. Book your EVA jigsaw mats so you don’t miss out on our stock as numbers will be limited. 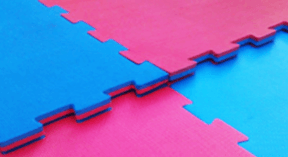 Customers can also forward order 20mm and 30mm EVA jigsaw mats.